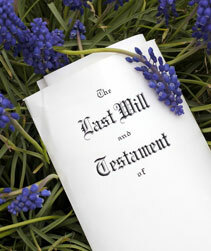 Estate planning ensures a client of an orderly passing of property at his/her death, as well as providing assurance that assets and personal affairs will be handled in accordance with the client’s wishes. When choosing a California estate planning lawyer, it’s important to look for a firm experienced in legal, tax and financial matters. It’s no wonder so many Californians rely on Timothy W. Tuttle & Associates for estate planning services. Contact Us for a Free Living Trust Quote! We proudly serve clients throughout Orange County, Los Angeles, San Diego, and across Southern California. For help with formulating your Estate Planning or to find out about forming a California Living Trust, contact us on-line by sending email to info@tuttlefirm.com, or simply call us: 1.949.218.1500.